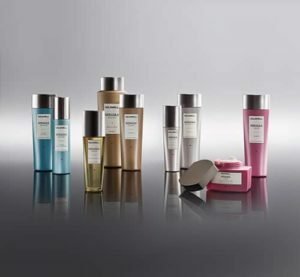 Goldwell’s five new customisable Kerasilk treatments will transform your hair and deliver the long-lasting results you’ve been waiting for. Whether your hair is stressed, thinning, fine, frizzy or you just want to keep your hair color intact longer, Goldwell’s new treatments are the answer. Check them out below and ask your stylist about adding them to your next appointment! Kerasilk Control – Are you suffering from frizzy hair that you can’t seem to control? The Kerasilk Keratin Treatment Service will transform your hair and deliver locks that are smooth and soft for up to 3 to 5 months. Using thermal-activated KeraShape Technology, it interacts with your hair’s structure, reshaping and smoothing it, while reducing waves and frizziness. Kerasilk Reconstruct – Is your damaged, stressed hair in major need of regeneration? The Kerasilk Reconstruct Service transforms your hair, making it healthy and supple looking for up to 10 washes. This indulging, in-salon service repairs and softens hair, while nourishing and reconstructing it using Keratin and Hyaloveil. Plus enhanced resilience for reduced hair breakage and lasting moisture and protection against recurring dry out. 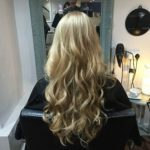 Kerasilk Repower – Do you need to recharge your fine, thinning hair? The Kerasilk Repower Services will provide volume, strengthen and thicken your hair for up to 10 washes. The invigorating service interacts with your hair’s structure, strengthening it and providing body using Keratin and Elastin. 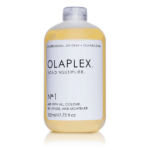 Additionally, Procapil and t-Flavanone balance the scalp, thicken hair and prevent hereditary hair loss. Kerasilk Color – Want to make your hair color last longer? The new Kerasilk Color Beautifying Service will keep your color looking brilliant and beautiful for up to 6 weeks longer. This beautifying service interacts with the hair’s structure and keeps it shiny with Keratin and Tamanu Oil, while protecting color from premature fade-out due to frequent washing or UV radiation.